Our little adventure continues on the Carretera Austral, on the interesting section between Puerto Tranquilo and Lago Posadas (Posadas Lake), crossing the border to Argentina. But before we go on and decide where to spend the night, it is very important to discuss the character of this section. The next 40 miles (60 km) will go by slow, the southern shore of the Lago General Carrera (General Carrera Lake) offering magnificent views and road conditions that are tricky, with hairpin turns and reverse curves all the way, continuous ascents and descents. But because the views are so exceptional and it’s simply impossible not to stop and admire them, I travel to this place for many years now, but every trip feels like the first. Over the next approximately 20 miles (30 km), the route reaches the Valle Leones (Lions’ Valley). 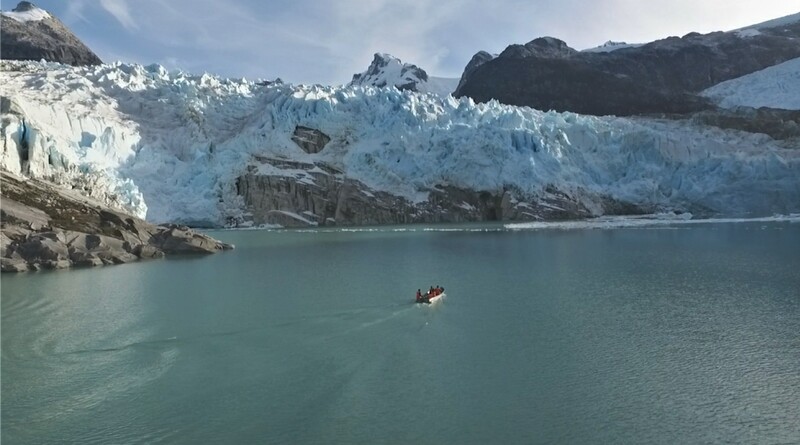 Getting to the end of the valley, you can arrange in advance to take a tour with local guides on the Lago Leones (Lions’ Lake) and experience the thousand-year-old ice structures above you of the glacier of the same name – the best thing, it’s almost not affected by tourism. The Glaciar Leones (Lions’ Glacier) is one of the few accesses to the Campo de Hielo Norte. The trip to reach it, is a whole day affair. Riding through the native forest is a unique experience itself, after floating on a small boat to the frontal wall of the glacier – it is really impressing from any point of view – with no other people or boats in sight, except those of your own expedition. A scenery that you will never forget. We resume our journey to head to the bridge of the “drainage”, the outlet of the General Carrera Lake that serves to feed Lago Bertrand (Lake Bertrand). Be assured, at this time, you’d want to stop every moment, to admire the view looking north towards the lake with two mountain ranges parallel on each side. Incredible! The next section of our route which will leave you stunned, is the first stretch of the Río Baker (Baker River). Once we reach the hamlet of Puerto Bertrand, we pass through it and get to the adjoining river with its turquoise colour never seen before. 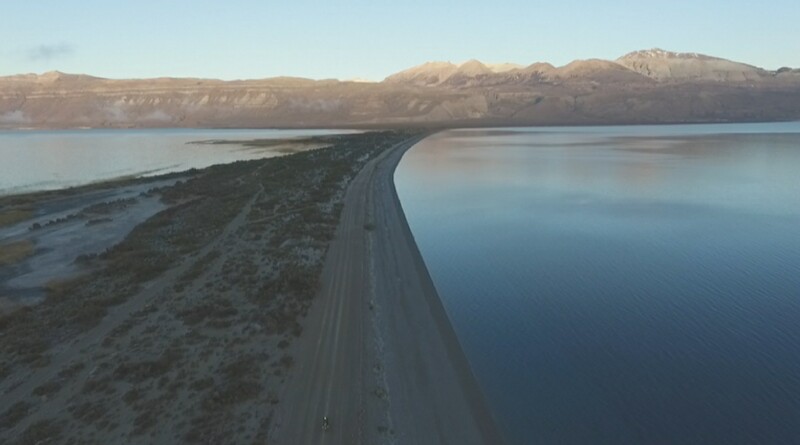 It is Chile’s largest river in terms of volume of water. The scenic route is literally overwhelming and I recommend stopping there to take a five-minute walk to see the “Salto del Baker”, a beautiful waterfall, where you can physically feel the force of water. It’s an iconic site as well, where the villagers formed protest against big companies wanting to erect hydro-electric dams along the river. At this point, we leave the evergreen forest to slowly approach the area of the Valle Chacabuco (Chacabuco Valley), a private national park only with native wildlife: guanacos (a small type of Llama), hares, birds, and if you’re really lucky, even cougars. The gravel roads are a little hard there and traversing the enormous valley that thousands of years before has been the bottom of the glacier, is a striking experience for me. 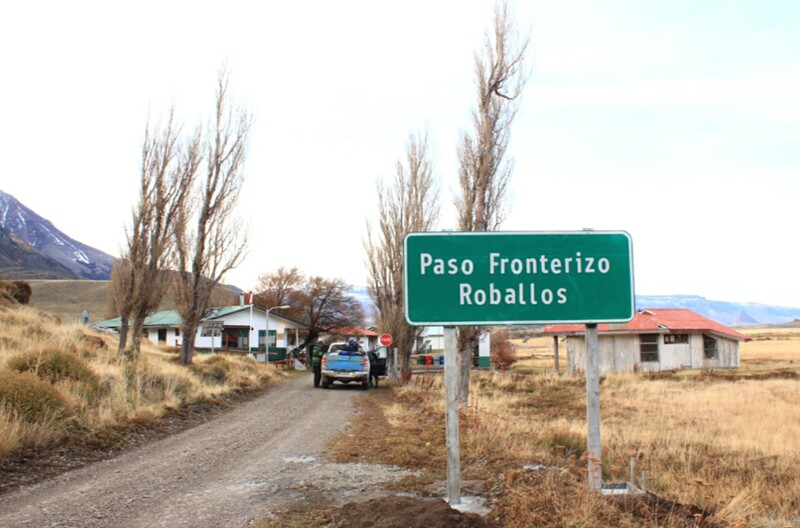 Leaving the valley, we reach Argentina riding through Paso Roballos (Roballos Pass) – very few people cross the border there. The surroundings create a distinct feeling of spaciousness, the Patagonian Desert appearing in front of our eyes and the sense of vastness compels us to travel further. 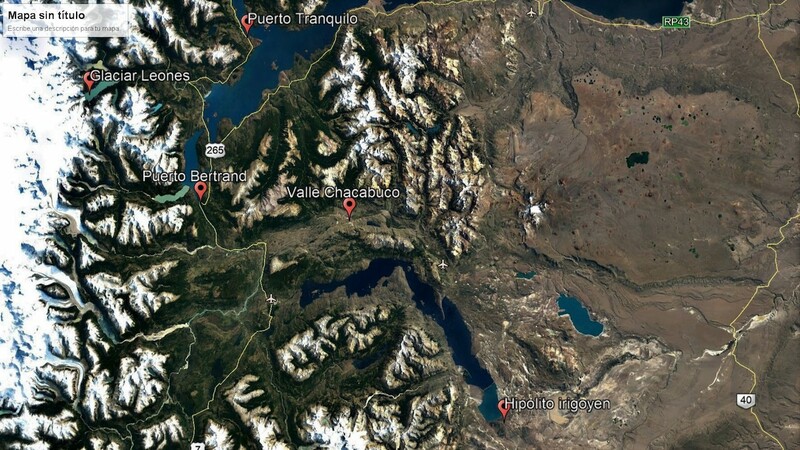 After a couple of hours, we reach a small village with the distinctive feature of two names: on some maps, it is called Hipolito Irigoyen and on others Lago Posadas. It’s the best place in the area to find a spot to sleep and to fill up the tank. 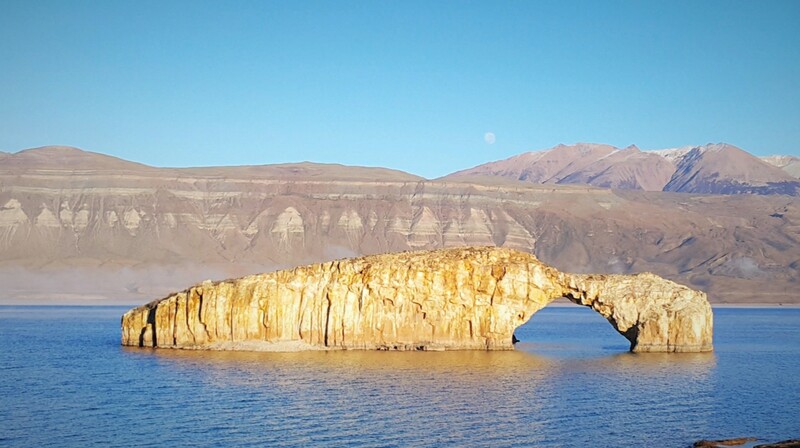 If weather conditions allow, it’s possible to see the “Arco de Piedra” at a few miles distance and the isthmus which divides the Lago Pueyrredón (Pueyrredón Lake) and the Lago Posadas (Lake Posadas). It is by far the greatest spot for viewing a sunrise or a sunset – the lakes, the Andean mountain range and the Monte San Lorenzo (San Lorenzo Mountain, the highest mountain of Patagonia), lying before you. In the end, as always around this area, it is difficult to analyse everything seen in just a few miles distance. The main thing to remember is probably the side trip to the Glaciar Leones – you should consider spending an additional overnight stay there, ideally at Puerto Bertrand. You’ll find a variety of different accommodation types available, from simple “cabañas” (cabins) to exclusive lodges offering fly-fishing. Historically, there’s a lot to know about the short route section described. There’s a lively history as the first settlers arrived not longer than 100 years ago, and violent conflicts with big landowners over the land went hand in hand. The massacres of the indigenous people occurred a few years before the first colonists arrived (they are not the ones responsible for the killings). You’ll benefit a lot from the interest and involvement with “non-official” history, prior to travelling to this part of the country.